David Bloomfield of Custom Waterfall Creations can bring your vision for your property to life. With over 30 years’ experience around the world designing and building rock water features and waterfalls, pools, spas, fire pits, outdoor kitchens and living spaces, David will use hands-on expertise to transform your home or business into the showplace you have always imagined. Custom Water Fall Creations provides designs, fabrication, construction and craftsmanship for projects large and small, both sculpted and real rock, each a masterpiece. We will build your project on budget and on time, with quality and artistry. Let us make your vision a reality with beautiful, one-of-a-kind designs and rock work. 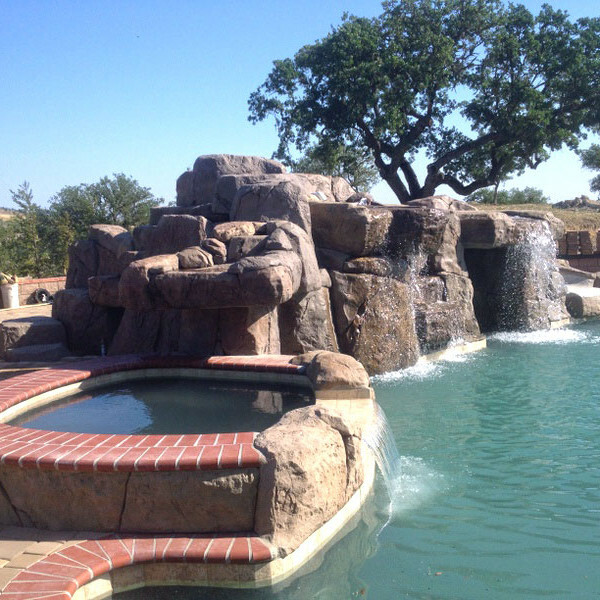 Custom Waterfall Creations can also bring your existing water features and rock work back to life. Tired of dull, faded, or non-functioning water features, fountains and ornamental rocks? We can restore and revitalize your outdoor living spaces with vibrant colors and beautiful finishes.